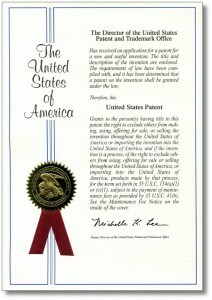 Lake Success, NY, April 24, 2014 – MSW●ARS Research, has been awarded U.S. Patent, #8,676,638 for the system and method underlying the innovative Outlook® Media Planner. The Outlook Media Planner is an app that enables marketers to run multiple “what-if” scenarios to determine the likely impact their advertising will have on sales and market share. The Outlook Media Planner can be used as an upstream tool, while advertising is in development, or as a downstream tool, after ads have been produced and are ready for airing. Marketers can use these “what if” scenarios to optimize total media weight as well as the distribution of weight among all the ads in a plan. What if my budget gets cut; can I still make my numbers? What amount of media spend is necessary to meet my business objectives? How many ad executions will I need? When will my ads need to be refreshed with new ones? What will the sales impact be this quarter? What’s the optimal allocation of GRPs between my 30 and 15-second television ads? MSW●ARS offers a product suite that evaluates, quantifies and optimizes the impact of advertising messages and campaigns comprised of any combination of touch points, including television, print, radio, outdoor and digital. MSW●ARS helps marketers build brands by providing world class research solutions in the following areas: brand strategy, all stages of creative development from early concept to fully finished ads, campaign evaluation across all marketing and media channels, advertising and brand equity tracking, media planning and strategy, return-on-investment and forecasting. The company provides solutions and consulting to marketers across traditional and digital marketing including: media mix optimization, media budget allocation, media and message connection, channel selection, digital media and emerging platforms. MSW●ARS techniques are the world’s most widely documented and independently validated predictive measures of the effectiveness of advertising creative and have been equated with higher sales and market share through third-party validation. MSW●ARS has a roster of marquee clients representing virtually every product category, including: Consumer Packaged Goods, Retail, Financial Services, Telecommunications, Technology, Automotive, and Pharmaceutical industries. 3 Quick Ways to Dramatically Improve ROMI Without Spending a Penny More Tailored Digital Ads – They Know Where You Live!